Qoya uses movement as metaphor, and is based on the simple idea that through movement, we remember that we are wise, wild and free. There are no levels or ranks in Qoya, and so there is no way you can do it “wrong.” The way you know you are doing it “right,” is because the movement feels good and true in your body, according to how your body wants to move. Qoya is based on the idea that life is a dance, and so every class has a theme, and all the secular music for the class is based on that theme. It is designed to take you deeper into yourself and tap into the whispers of your heart that we rarely get to hear, as well as the wisdom of your soul that aches for you to listen. Qoya is an exploration into the way the feminine aspect of your body wants to move. 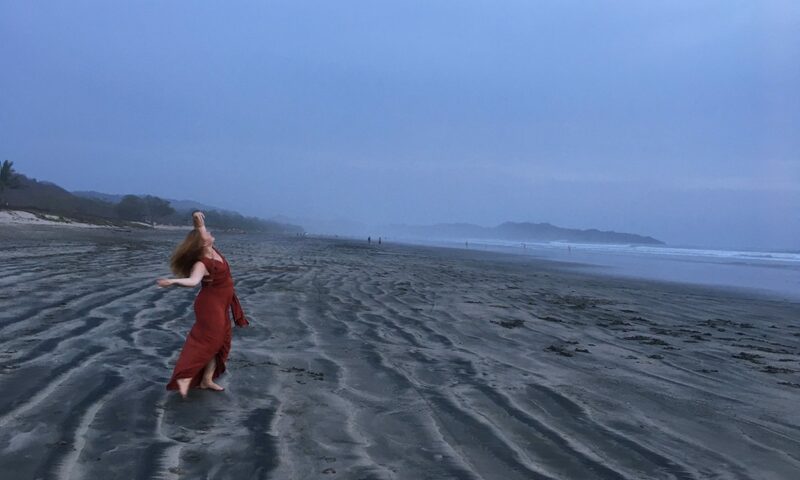 Qoya provides a map to access your inner wisdom through yoga, breathing, and meditation, authentically expressing creativity through dance while enjoying yourself through sensual movement. At the heart of Qoya is noticing how your body feels. You will laugh in Qoya, sweat in Qoya, and perhaps shed a tear or two. You will feel more connected to yourself and to the others in class, and leave class feeling refreshed and more connected to yourself. Qoya is good for the body, and good for the soul. Simply come as you are, and wear clothes that are easy to move around in. Bring a yoga mat, a water bottle, and an open heart and mind. To learn of weekly Qoya classes in the Roanoke area, please go to, and “like” the “Qoya Roanoke” Facebook Page. Classes pop up and change all the time so make sure you get the notifications. I highly recommend coming to a class, but also checking out the monthly Community Despachos (one of the cornerstone gratitude rituals in Qoya) offered around town to benefit local charities we love! Us Qoya Teachers also love collaborating with others and teaching Qoya at conferences, workshops, schools, camps and retreats of all kinds, so please inquire!